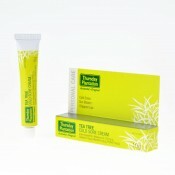 Cold Sores are a common problem for many of us. They are a recurrent infection and once you have caught it there is no cure as it will stay in the nerve tissue for life. Usually it remains dormant until trigger factors such as stress, sunburn or the common cold causes it to become active, which begins a series of processes in the body that can end in a cold sore lesion. 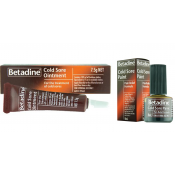 Betadine Cold Sore Ointment 7.5g Betadine Cold Sore Ointment, if applied at the first signs of a cold sore (usually a tingling or itching sensation) can help to check the infection. This product can help reduce the risk of spreading the infection.DirectionsApply the Betadine Cold Sore product liberally to the affected area at least four times a day.WarningsNot to be used in known hypersensitivity to iodine or povidone. If irritation, redness or swelling develops, discontinue treatment and consult a doctor. Not recommended during pregnancy or breastfeeding. For further information on contraindications to the use of povidone-iodine containing preparations, please refer to the package insert or consult your healthcare professional prior to use. ..